HMD Global held a event in Istanbul, Turkey where it unveiled its latest phones to the Turkish market. 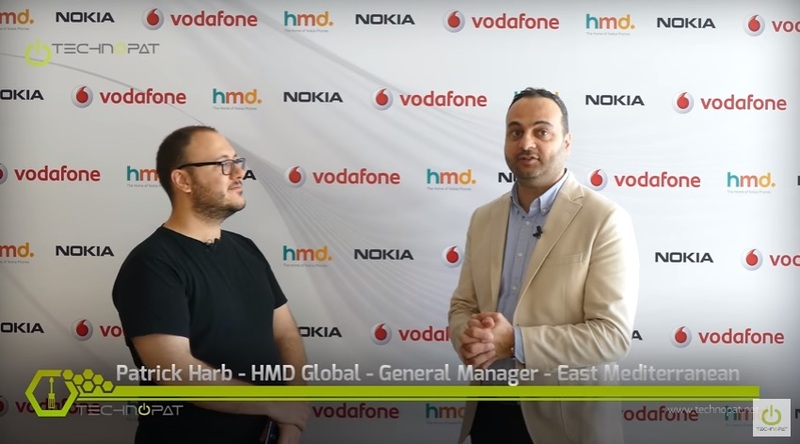 Technopat Global did an interviewed with Patrick Harb, general Manager of East Mediterranean at HMD Global. Patrick mentioned few interesting bits about Nokia’s involvement in the design of the phones, and said they are collaborating closely on imaging and other aspects. The involvement of Nokia in the partnership with HMD is significant. Also, he mentioned that future Nokia devices will be the only one with pure Android OS and monthly security updates. Furthermore, he said that all devices will have latest version of the Android OS (after N, there will be update for O). One interesting thing happened in the 5:39 minute of the video. Patrik had “lapsus linguae” and while thinking of Android 7 he said Nokia 7. Well, if that model wouldn’t be presented soon, he wouldn’t do that kind of mistake. At the end, he talked about partnership with Vodafone that will help HMD push Nokia phones in the Turkey. Also he mentioned that old Nokia logo “Connecting People” will be exchanged with Uniting people, since Nokia already connected us, and now is time for making people united trough Nokia. Thank you Love Nokia for the tip :).